Broughton, Simon, Mark Ellingham, and Jon Lusk (eds). 2009. 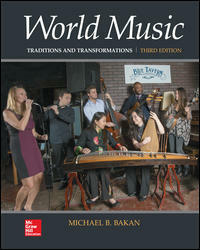 The Rough Guide to World Music: Europe, Asia and Pacific. 3rd ed. Rough Guides. Miller, Terry and Sean Williams (eds.). 1998. The Garland Encyclopedia of World Music, Volume 4. Southeast Asia. Routledge. Comprehensive reference source containing entries on myriad topics relating to Indonesian and other Southeast Asian musics. Part of the Oxford Music Online gateway, this online resource includes the full text of the second edition of the multi-volume New Grove Dictionary of Music and Musicians, with ongoing updates. Articles on music by country or region, musical genres, musical instruments, and well-known performers offer valuable information for fact-checking as well as in-depth research. 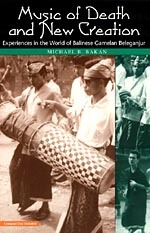 This ethnomusicological study of traditions and transformations in the musicultural world of the gamelan beleganjur of Bali, Indonesia, combines comprehensive cultural and musical analysis with the author’s personal narrative of his experiences as a student and performer of beleganjur music in Bali. It includes a compact disk of illustrative musical examples. Dibia, I Wayan, Rucina Ballinger, and Barbara Anello (illustrations). 2004. Balinese Dance, Drama and Music: A Guide to the Performing Arts of Bali. Periplus Editions. This beautifully illustrated introduction to the performing arts of Bali is engaging and accessible. Eiseman, Fred B., Jr. 1989/1990. Bali: Sekala & Niskala. Periplus/Tuttle. The first volume includes essays on religion, ritual, and art; the second volume focuses on society, tradition, and craft. 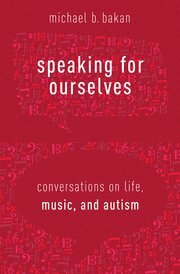 Accessible, informative, and interesting. This book provides an interesting perspective relative to the chapter in terms of gender issues and religious practice in Indonesia. Readings of and discussion from this book could serve as a productive bridge between this chapter and Chapter 12. Spiller, Henry. 2008. Focus: Gamelan Music of Indonesia. 2nd ed. New York: Routledge. Clear and accessible introductory-level text, with especially strong coverage of Javanese traditions but a good section on Bali as well. The book comes with a compact disk of illustrative musical examples. Sumarsam. 1995. Gamelan: Cultural Development and Musical Interaction in Central Java. University of Chicago Press. Interesting historiographic study of Central Javanese gamelan traditions, especially in terms of the impact of colonial and postcolonial influences on that tradition. Tenzer, Michael. Balinese Music. 1998. Periplus/Tuttle. Accessible and beautifully illustrated introductory survey of Balinese music traditions. Another book by the same author, Gamelan Gong Kebyar: The Art of Twentieth Century Balinese Music (Chicago, 2000), is recommended for advanced readers, as are the essays on Balinese and Javanese music in Analytical Studies in World Music (Oxford, 2006), a book edited by Tenzer. Weiss, Sarah. 2007. Listening to an Earlier Java: Aesthetics, Gender, and the Music of Wayang in Central Java. KITLV Press. Offers interesting perspectives and historical information on Central Javanese wayang (shadow puppetry traditions). This is a compelling topic that appeals to students and could be productively expanded in the teaching of this chapter on Indonesian music.